Influencers build trust and focus by being open with their fanbase. Your favourite online personality wakes up every morning and shares their breakfast. They tell you they're going for a run. They tell you what book they're reading, what shows they're watching, where they bought that new jacket. Oversharing is easy when your brand is built on who you are. Sharing on that level can also invite unwanted attention into your life. Creators have often found themselves on the receiving end of harassment, stalking and even home invasions over the years. The Yogscast's Hannah Rutherford is one woman to experience the darker side of influence. Rutherford has been making content online since 2011. During this time, she's interacted with fans, shared personal parts of her life online, and invites a certain level of personability with her community. But one interaction led Rutherford down a path of turmoil and fear for over a year, as one fan began sending unsolicited gifts, hand-written letters of affection, and threatening her livelihood. Every December, Rutherford makes a series for her YouTube channel called 'Hannah's Advent'. The series would consist of daily videos in the lead up to Christmas day, where Rutherford would open gifts and letters sent to her PO box by fans. In 2016, Rutherford received a selection of gifts. 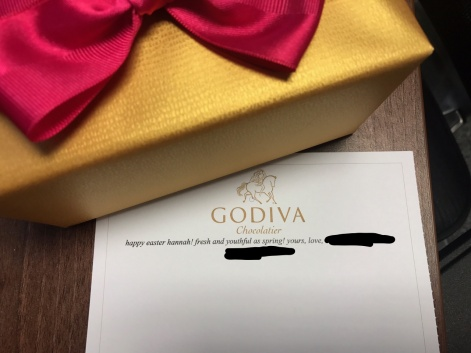 Among them was a box of Godiva chocolates, sent from a fan. She thanked the sender on camera and proceeded to open more presents. Rutherford doesn’t wish to disclose the real identity of the individual, so refers to him as ‘Bob’. However, Rutherford later learned that Bob had been tweeting her from multiple accounts and watching her streams since 2012. At the turn of 2017, another influx of anonymous gifts arrived at the PO Box. These gifts were not out of the ordinary; some cat toys, cosmetics, and another box of Godiva chocolates. The gifts were also sent in by Bob. Bob has also begun donating to Rutherford’s Twitch under a name she didn’t recognise. It wasn’t until she saw Bob’s name on the PayPal receipts that she began to piece more clues together. Rutherford also comments on how the interaction began to escalate around late January. Bob has tweeted that they “can’t wait to see her again”, which sparked concern for the creator. By Valentine's Day, something wasn't quite right. Rutherford had received a romantic, handwritten letter from Bob, followed up with an email. Rutherford then learned their real name and address, a discovery she cites as “lucky” considering what was to follow. All the while, Bob is posting erratic thoughts to their Twitter account. Rutherford is quietly keeping tabs on their behaviour online. We can’t share screenshots of the tweets as they can be traced back to the individual, but Bob was frequently interacting with Rutherford via the platform. The tweets were friendly, but oozing with overfamiliarity, with one even asking if Rutherford would kiss them if they attended an event. The tweets kept coming even after Rutherford had told them herself to stop. “Twitter didn’t do a lot when it came to their accounts,” Rutherford mentions. “We found at least three, two of which were only temporarily timed out by Twitter. They also didn’t help with any of the actual stalking even though a lot of interactions were taking place on the platform”. After yet another email, Rutherford responds telling Bob to stop sending gifts and politely says that she’s not interested. Bob responds to her, saying they “can’t believe they managed to get a response” and that they’ve been trying to since they met Rutherford back in 2012. The emails are long-winded, frothing and romantic in nature, as though they’re trying to sell themselves to her. “We know they’ve been to the UK, and there was an American at an event a while back that kissed my hand,” Rutherford explains. Rutherford needed a more authoritative response, and her next step was to respond to Bob through official channels. Bob is told by other Yogscast staff to cease contact with Rutherford, and to stop sending gifts to the PO Box. Their Twitter account is blocked, but that didn't phase Bob. They have multiple accounts to interact with Rutherford, both on Twitter and on Twitch. “Crazily enough, at this point, we are still not sure whether this person is stalking or its someone with a learning disability,” Rutherford says. They also do not stop sending in gifts as directed. In April, another box of Godiva chocolates arrived at the Yogscast office. At the time, the address for that office was not public which meant that Bob had gone to some length to find it. They had also sought out Rutherford’s home address. Rutherford then reaches out to Godiva, asking if they can intervene to stop this individual sending gifts. The company couldn't help but was sympathetic. By April, Bob had been reported to the police. However, due to Bob residing overseas, the UK police force is limited as to how they can approach this case. The authorities in Bob’s area are informed and instructed to visit them. Bob denied the claims stacked against them. They’re then issued a cease and desist and are informed that their contact has been recorded as a crime. But again, even the threat of legal action did not phase Bob. They’re still lurking Rutherford’s daily livestreams, and she is more than aware of it. At this point, Bob has pulled other Twitch and Twitter accounts out of retirement to continue his harassment. “This is where we realised that Bob was actually the person from 2012 that was being weird,” Rutherford recalls as the timeline snaps into place. I could see him watching. I knew he was there and I could see him in every stream. 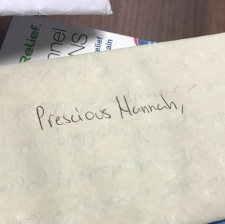 Another handwritten letter arrived at Yogs HQ, despite Bob being told by Rutherford, The Yogscast and the police to stop sending them. The letter has the same uncomfortable frothy tone as the previous, but slightly more maniacal. It detailed Bob’s intent, and how long they’ve has been displaying this behaviour. This is reaffirmed with another gift in June. 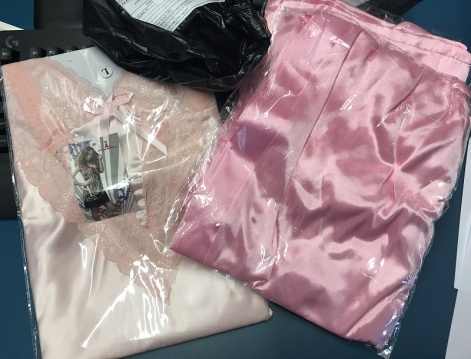 Bob has sent Rutherford some lingerie, despite police warnings. By August, Bob’s interactions with Rutherford have been happening consistently over six months. Another email arrives from a new address and Bob’s tone has changed significantly. It’s sinister and alarming. Bob wrote “call me when you have some class” in the email. Rutherford also describes how Bob had begun to direct tweets at other men she worked with or was associated with, such as her partner and other content creators. Bob’s local authorities visit them a second time, to issue a further warning. They deny sending any other gifts. Rutherford also learns that Bob has been diagnosed with schizophrenia and is not taking medication, which explains a lot of their behaviour over the course of the year. Rutherford is naturally feeling “terribly vulnerable and furious” about the helplessness of the situation. It’s worth remembering that Bob cannot be formally charged with an offense unless they’re brought over the UK. The best compromise was that Bob can be added to the immigration blacklist which prevents them from visiting the UK. After September, Bob’s interactions are quieter, but that hasn’t stopped Rutherford from checking their social media every single day to look for signs of movement or impending gifts. The other thing to remember is that it’s not your fault. In April 2018, Rutherford receives word that Bob has passed away. While the contact and harassment had come to a halt, Rutherford did not feel as though she’d gotten closure from the subject. Nor does she feel that the contact would have stopped by anyone else. While the police in the UK and overseas were vigilant with the case, there was a constant air of futility in that nothing could really be done to stop the contact. There’s no telling how long it may have lasted or to what extent it could have escalated. “There was always a sense of what if,” Rutherford concludes. “I imagine it feels similar to being stalked by a work colleague, in that I can’t avoid the sphere that I’m in because it's my job, so I have to juggle it. “If you feel like this is happening to you, there are two major things to remember. “Document everything, save everything. 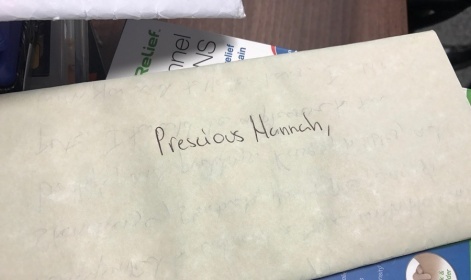 If it's stuff that you don’t want to keep around you such as the weird creepy letters, get a friend to hold on to it or keep it at the office.